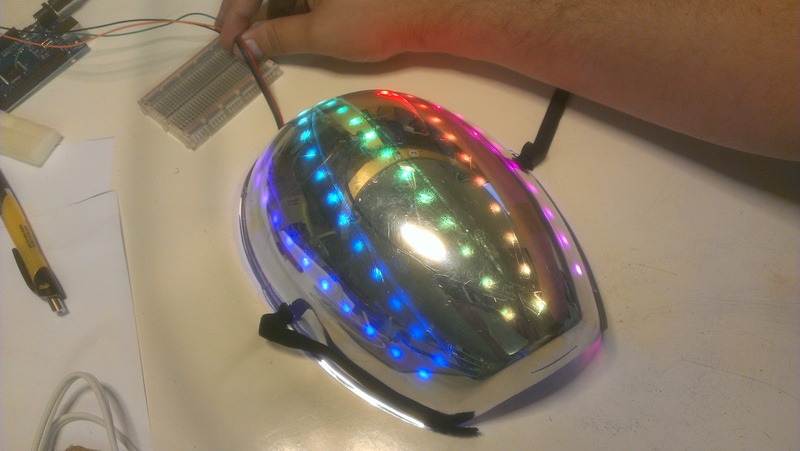 “Draft Punk” LED Helmet on the Cheap #WearableWednesday #ElectronicHalloween « Adafruit Industries – Makers, hackers, artists, designers and engineers! Adafruit web team member Tony Sherwood didn’t have the time or a 3D print bed large enough to make his own printed Daft Punk helmet, so he approximated the look with an inexpensive Cobra Commander mask from the party store and some NeoPixel strip hooked up to a Pro Trinket. He calls this costume “Draft Punk.” Check out his process in the guide on the Adafruit Learning System.